Jenny Craig and True Fare are designed to take the stress out of meal planning and this Jenny Craig VS True Fare comparison is designed to make it much easier to choose between them. Get a comprehensive overview of these companies’ crucial features and scroll down to discover the definite winner of the comparison. With Jenny Craig weight loss meal delivery service, you can lose up to 16 pounds in a month with the help of a dedicated personal consultant and delicious, chef-crafted diet meals. True Fare, formerly known as Pre-Made Paleo, delivers wholesome, nutrient-dense Paleo meals suitable for various healthy diets and made of the finest, certified organic ingredients. Jenny Craig offers 2 meal programs: the 12-week trial program and the 12-month Premium program. Jenny Craig has more than 100 diet items in its offer. Jenny Craig offers diet breakfasts, lunches, dinners, desserts, snacks, shakes, bars, soups, and veggie sides. It is suitable for omnivores and diabetics, has a limited selection of vegetarian dishes, and features few gluten-free options. It offers a vast range of low-calorie, low-fat, and low-sodium meals. Although Jenny Craig does not offer precise information on ingredient sourcing, it does claim that all of its meals meet the USDA Dietary Guidelines for Americans. Plus, its meals contain less sodium and fat than most other prepackaged meals. With Jenny Craig, the average daily calorie intake ranges from 1,200 to 2,300 calories, depending on current weight, level of physical activity, and weight goals. A single meal contains between 200 and 380 calories. The portions are small, but you get to eat 6 times a day. The meals are nutritionally balanced and created by accredited practicing dietitians. Jenny Craig subscription can be canceled by contacting the support staff via phone, email or snail mail. For information on Jenny Craig's refund policy, please consult your Jenny Craig contract or get in touch with the support staff via phone or email. True Fare's menu features a number of options, including Whole30, AIP, and Ketogenic, as well as Spring Menus, Breakfast, Wild Caught Fish & Seafood, and A La Carte Individual Meals and Vegetable Sides. True Fare offers around 50 meal options for you to choose from. 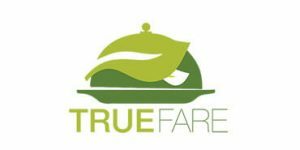 True Fare offers organic, gluten-free, grain-free, legume-free, lactose-free, low-carb meals. Its menu includes Paleo-friendly, keto-friendly, Whole30-compliant, and AIP-friendly breakfasts, lunches, and dinners. In addition to standard meals, it offers exotic dishes made of venison, elk, wild boar, water buffalo, and alpaca meat. True Fare sources certified organic produce grown on Georgia farms. It uses antibiotic-free, grass-fed, and grass-finished beef, free-range poultry, game meat, and wild-caught sefood. All of its meals are free from refined sugars and artificial substances. True Fare meals usually come in 6 oz. servings and rarely contain more than 350 calories per serving. They are nutritionally balanced and mostly free from trans fats but may contain significant amounts of cholesterol. If you wish to cancel your True Fare subscription, you must do so 7 days before your renewal date. For all other questions about the service’s flexibility, you should contact True Fare directly. True Fare may issue refunds, but you must notify the company of your complaints within 24-48 hours after your delivery has arrived. I was on Jenny Craig for 5 years ago and hit the weight loss goals I had set. I continued to get message and offers from them to come back. So the new year arrived and I set some goal to loose a few pounds. Jenny Craig offered me 200.00 dollars off of membership and so I went back. It was funny that really nothing much had changed in the meals except they don't have meals in the red sauce that can survive at room temperature on the shelf. So I went in weighed in and after spending 176.00 I had my affirmations ready to shed some weight. When I got home I was wondering how the frozen meals compared to grocery store meals so I looked at my Invoice. There was a total charge but no itemization. That was a bummer... strike 1I have been getting some frozen lean meals at the grocery store and when I compared the calories, carbs, sugars and fats. The Jenny Craig meals were the same or slightly higher and the taste was not as good. strike 2About the third day I realized that this was not for me ( strike 3) with so many healthy and fresh non frozen choices available today I opted to move my diet business elsewhere.I feel the Jenny Craig business model is similar to Yellow Cab slow to change and not concerned with customer service and value. We all saw how Uber radically changed this market. I am confident that for the price I paid there is a service that is better suited for my goals.So in short I am not a fan. This is way too expensive, the food alone costs over $700 a month! Everyone says that it works, but it really is too much for most people. I received my 30 day fully prepared meals from True fare about 7 days ago. 30dayWhole challenge. Very simple. Pricey. But worth every dime. The price just makes me super committed to staying focused on the diet. The day I received the fully prepared meals...I got ziplock bags and went by the weekly menu and separated all 30 days into the bags. Marking them for each day and what week. That took time. But was well worth it. Then froze everything but first week. I received so much food that I even had 3 to four full bags of extra food left. Probably enough for another month or 30 days. I had started to prepare myself for this diet a week in advance. Reading all I could about it. So in one week plus the week I did preparation to be on this diet I have cut out all the sugars and processed foods and all recommended things to cut out. I Increased fresh vegetables and fruits. I have already lost in 2 weeks 10.5 pounds. Hoping to stay on diet until I loss the other 20 I need to lose. Then continue on my own making my own meals. My stomach no longer is upset everyday,I have more ambition and energy, even my back pain is going away. The prepared food is more than filling. Which totally surprised me. As I only put 3 bags in each zip lock bag and also supplement with the trail mix and fresh fruits or veggies if Im hungry. But I rarely am. This is the best I have ever felt on a diet...which feels like no diet at all. The only work involved was separating each days foods into the ziplock bags the day the food arrived. I love it and highly recommend it to anyone. I have type II diabetes and last year my doctor recommended the Whole30 program to help me manage my diabetes. I attempted the Whole30 (made it through day 27) and was completely overwhelmed by the amount of cooking, food prep, shopping, cleaning, etc. I felt like I was spending an average of three hours in the kitchen each day, and that just does not work for my schedule. The added stress of this definitely hindered the positive effects of the program as most days my stress levels were extremely high causing unstable blood sugar.This year, in another attempt to get my blood sugars under control and to improve my health in general, I decided to do the Whole30 again but this time to save up my money and purchase the TrueFare 30-day Whole30 plan.I really expected to love it considering the price tag of $900.00 ($10/meal). I definitely love the convenience of it (the food is just so-so and lacks variety, which I could handle and wouldn’t be too big of a deal on its own), but there was a major problem that I have been going back and forth with TrueFare customer service on:The nutritional information varies on 1) the food labels (that are on each individual food packet), 2) the menu flyers (that are shipped with the food), and 3) on the online nutritional information posted on the website.Here is an example of the Pork Skillet: • PROTEIN: Package: 14g; Online: 23 g • CALORIES: Package: 240; Online: 330 • CARBS: Package: 9g; Online: 14 g • FAT: Package: 16g; Online: 20gHere is an example of the Chimichurri Chicken • PROTEIN: Package: 37g; Flyer: 29 g • CALORIES: Package: 310; Flyer: 280 • FAT: Package: 15g; Flyer: 12gAnother example of inconsistencies and errors: • The last meal at the bottom of Menu ‘R’ says “US Wellness Meats Grass-Fed Pink Peppercorn Braised Beef served with Organic Cauliflower Rice Pilaf.” • TrueFare prints the nutritional information on the back of the same flyer and the pairing for the beef is listed as “API Cauliflower Pilaf with Mushrooms.” • The label on the actual pairing I received was “Cauliflower Rice with Sweet Potatoes.” And of course, the nutritional information on the label obviously doesn’t match what’s on the back of the flyer. • The ingredients on the label state that there are brussels in the ingredients, but I definitely did not see any – just cauliflower and sweet potatoes.After multiple emails with TrueFare, Joseph admitted there was confusion and that they had some type of glitch / labeling issue as they were switching over from Pre-Made Paleo to TrueFare and that some products were mislabeled and incorrect. It was extremely time consuming emailing them or calling them trying to get a straight answer as to which nutritional label and ingredient lists were correct – and I’d have to do it for each discrepancy I came across. I finally gave up.On Whole30 you don’t typically track calories, macronutrients, etc., but since I am diabetic, tracking carbs is essential to my overall plan to figure out what works best for my body and I can eliminate the use of medications in controlling my blood sugar, and I stressed this fact to customer service.I communicated with TrueFare about this issue multiple times and also expressed my dissatisfaction with the issue at hand. I had asked that the *actual/correct* nutritional information for each meal be emailed to me, but that request was ignored. Nothing was done by TrueFare to rectify the situation and the only apology I got was a casual (and seemingly insincere) “sorry for the confusion.”Considering this plan was endorsed by Whole30, and considering the hefty price tag, I am highly disappointed with the issues I’ve experienced with this company and I question the integrity of what I’m eating.It would benefit TrueFare to take customer complaints more seriously and improve the customer service side of the business. I do not feel and adequate attempt was made to resolve or rectify the issues I had with my order, especially considering TrueFare was aware of the labeling issue yet continued to send food out anyway. $900 is a lot of money for most single people to spend on a months’ worth of food, and the lack of customer service and conflict resolution is truly disappointing.Unfortunately, I can’t recommend TrueFare until they are able to correct the labeling issues/glitches and improve their conflict resolution standards. Not the cheapest, but definitely the best paleo meals I’ve ever had. Meal pairings are my favorite! I like the food, great options you’ve got over there. But I really get confused wandering around your site, pls do something about it. True Fare is a unique meal delivery service that provides chef-prepared meals designed in accordance with the rules of the Paleo, ketogenic, Whole30, and AIP diets. It allows you to choose from a range of specialized meal plans or opt for a la carte ordering. Learn more about the delicious options it offers in this comprehensive True Fare review.